When you write, you can present information in two main ways—through telling and showing. "Telling" gives the reader information; "showing" recreates experience. You explain a subject to readers. Readers see, hear, smell, taste, and touch the subject. Our raft approached a set of rapids. They were the biggest challenge we faced. We weren’t sure we would make it. We made it. 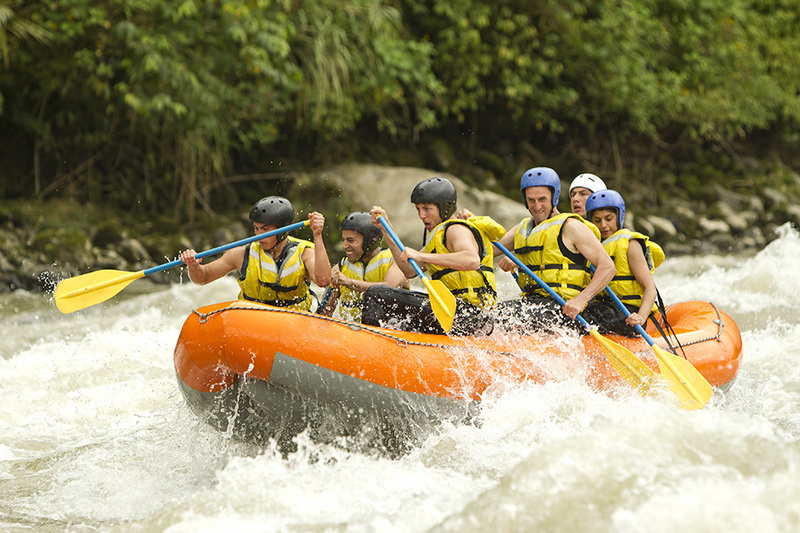 The rumbling grew as our raft bobbed toward the drop in the river. The air moistened and smelled of morning dew. Ahead of us, copper water plunged down a set of boiling rapids, which carved their curving way among jagged cliffs. My mouth went dry with a tang of fear. “Hold on, everybody!” I shouted. Your Turn Read the “Showing” example and write down four words or phrases that let you see, hear, smell, taste, or touch. Writing Descriptions That "Show" Instead of "Tell" by Thoughtful Learning is licensed under a Creative Commons Attribution-NonCommercial-ShareAlike 4.0 International License. Based on a work at k12.thoughtfullearning.com/minilesson/writing-descriptions-show-instead-tell. From the blog post "Teaching Young Writers When to Show and Tell"